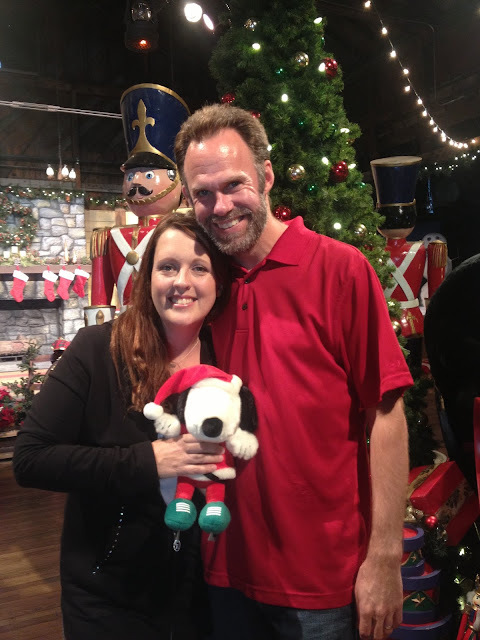 It's hard to believe that a year has passed since last year's Knott's Merry Farm event. 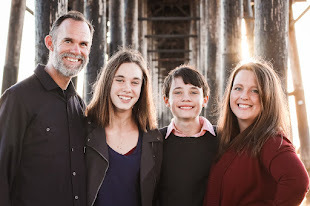 It was soon after Merry Farm that our lives changed forever and Luke was diagnosed with cancer. 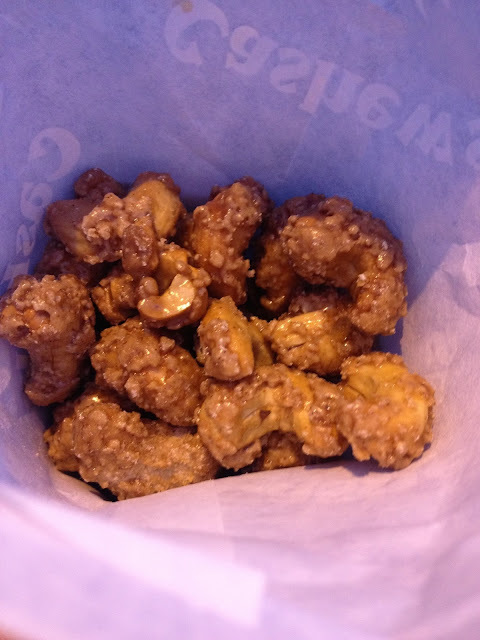 This post is a little bittersweet to write. However, I am so so glad we were able to attend that event and create wonderful family memories. Knott's holds such a special place for our family and has since I was a little girl. We are going to visit Knott's at Christmas time again this year and I am sharing what not to miss from our many years of experiencing Knott's Merry Farm. 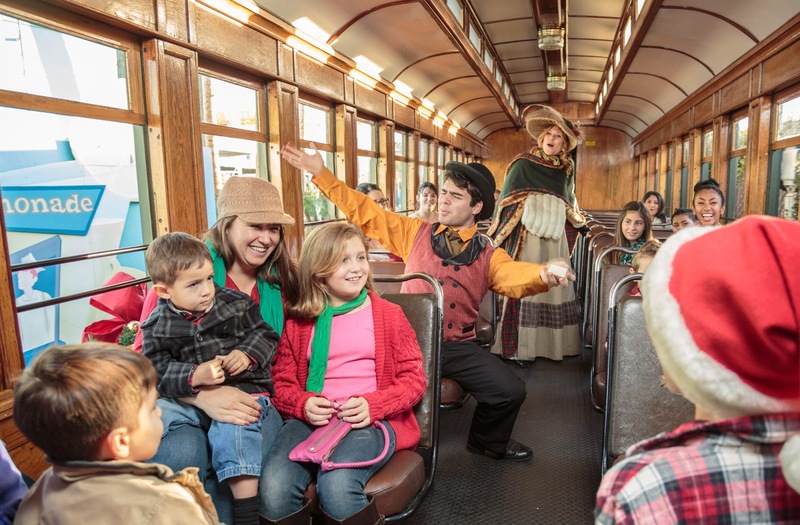 Knott's Berry Farm is a Southern California Theme Park that is steeped in history and hometown charm, and Christmastime is no exception. While thrill rides dot much of the park's landscape (and delight my children), the park also creates so many opportunities for family memories during the holiday season. Knott's Merry Farm begins November 21st through January 3rd. Last year, Snow in Ghost Town debuted to a resounding success and it's back this year! 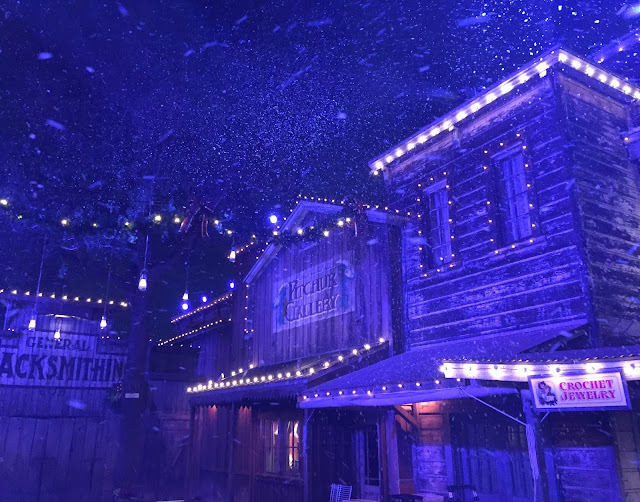 Every hour, snow will fall in the streets of the iconic Knott's Berry Farm Ghost Town. The snow fall is timed to a holiday light and music show and you won't want to miss it! And unlike that other theme park in Orange County, the snow falling at Knott's happens every hour! Tons of Christmas photos ops with falling snow. Okay, that's not it's real name, but it might as well be. 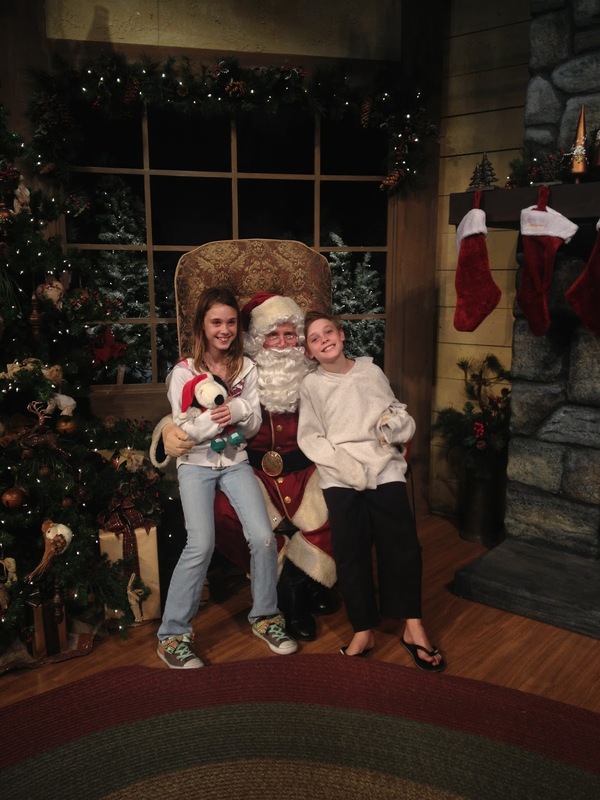 One of our favorite yearly traditions at Knott's is Santa's Christmas Cabin. 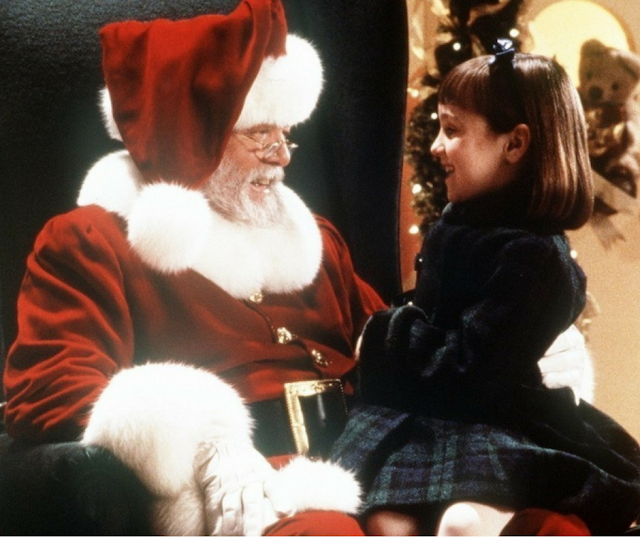 Get in line for a picture with Old Saint Nick, savor holiday treats, or grown ups can even sit and sip on some beer or wine. Snoopy's Annual Ice Show - Merry Christmas, Snoopy. Another annual Knott's tradition is the Snoopy ice show that is equal parts charming, nostalgic and just plain fun. Professional ice skaters wow the audience every year with fantastic ice stunts and tricks. The Ice Show only runs on select dates, so if want to see it, be sure to visit the website before purchasing tickets. Definitely worth making time for. Try the warm roasted nuts in Santa's Christmas Cabin, the boysenberry funnel cake or the gourmet coffee and pastries in the Christmas Cabin. Did you know The Ghost Town area originated out of a need to keeping guests waiting in line for Mrs. Knott's Chicken Dinner Restaurant entertained? Almost every single building in that area of the park is an original old west building! No wonder it feels so authentic. Lining the streets from the school house past the glass blower's shop in the Christmas Craft Village. Last year, my daughter chose a beautiful glass blown swan from the craft fair to give me for Christmas. The beautiful train that winds it's way around the theme park is deck out during the Christmas season and filled with characters that help spread Christmas joy. This is always a fun one and a really great way to take a break from the crowds. Stay connected to the Knott's Berry Farm holiday fun online by following the #MerryFarm hashtag on the social media platform of your choice. Disclosure: I am attending Knott's #MerryFarm media event later this month, thanks to GiggaSavvy. I was not compensated for this post, all opinions are my own.